(l-r) Jonas Salk, Rosalind Franklin, Jacquess Cousteau, James Watson, Craig Venter, Jane Goodall, E.O. Wilson, Charles Darwin, and Ed Ricketts. Our first monarch butterfly broke free from its chrysalis today. We have numerous caterpillars from the garden in class that are developing from adolescents to adults, just like our fine students. The individual in the photograph above is the first of many. 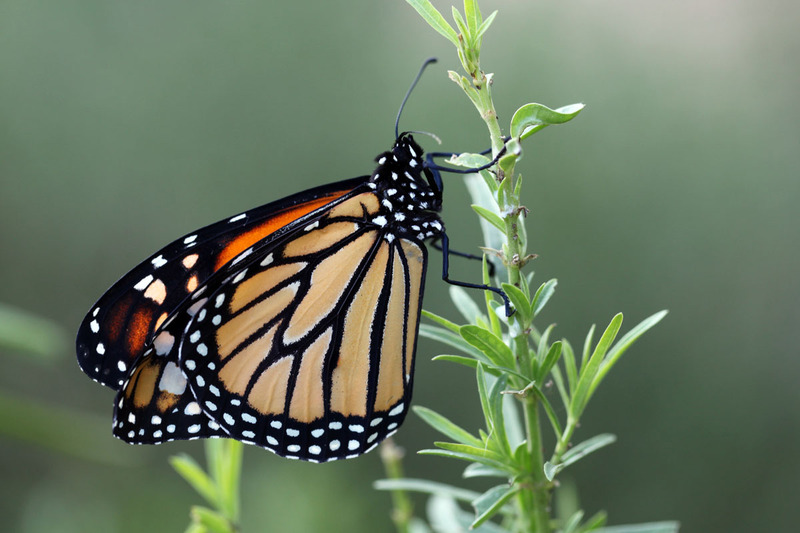 It was a beautiful thing to watch the emersion process — first, with the darkening of the chrysalis, followed by the exit, unraveling of the wings, drying time, and finally the slow and deliberate opening and closing movement of the wings. The goals of the garden were to provide habitat for native species and an outdoor laboratory for our students. Both of these are being realized. Certain forms are prevalent in the physical and natural world that are interconnected in ways we are currently unaware of. 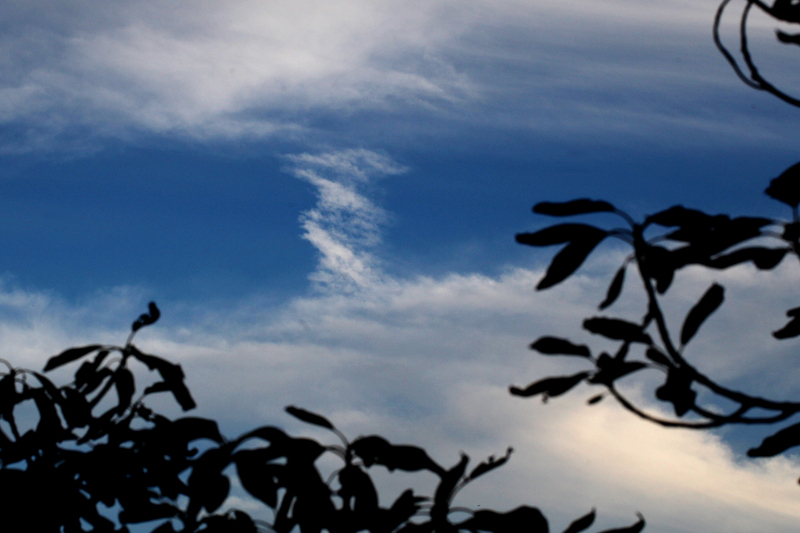 Funny how after working on DNA barcoding all week, this cloud formation shows up in the back yard. 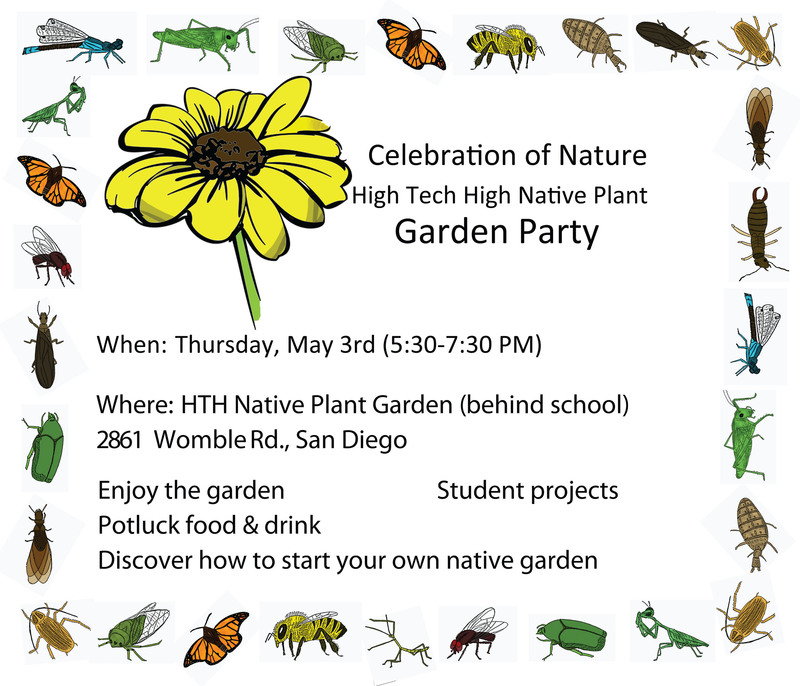 We have been learning much from the HTH Native Plant Garden. Hard to believe with so many different visiting insects, that the plants have been in the ground for only nine months or so. Besides a diverse set of native insects student researchers are discovering the non-native variety. We do have large population of ant lions within the garden but they have yet been able to control the highly invasive Argentine ant. Yesterday we discovered a queen Argentine ant. The queen died but we did observe an interesting phenomena with the interaction of the workers and the fallen queen. The workers appeared to stand guard over the queen for at least 2 hours before they broke and moved about freely. 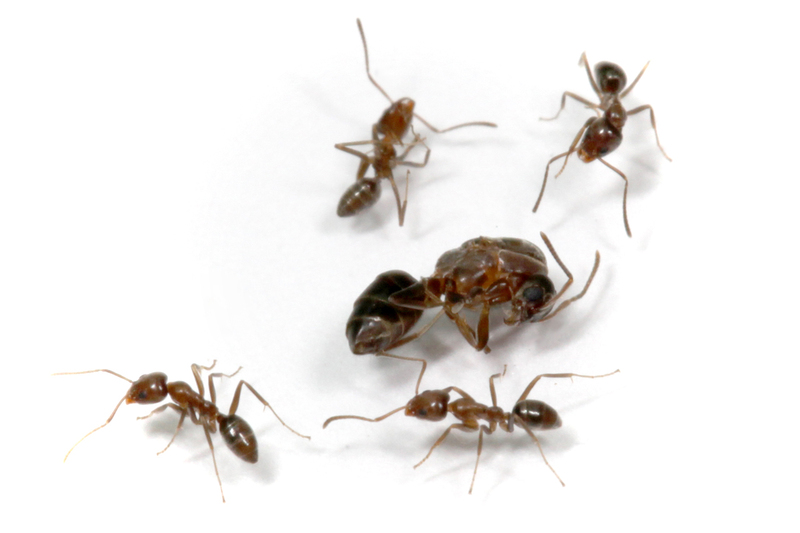 Evidently, the Argentine ants can have multiple queens per colony. Sounds like another reason for their incredible success. Well, this queen is dead, but the colony may live on. Be sure to catch Jane’s Journey this Tuesday (10/9) night. The documentary is all about Dr. Jane Goodall’s career and her impact around the world. It will be shown on Animal Planet at 8 p.m. ET/PT. 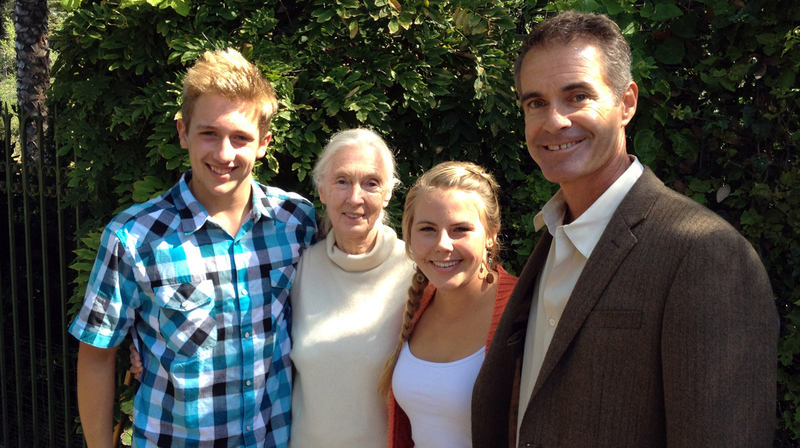 Last week we met with Dr. Goodall in La Jolla. HTH Roots & Shoots Directors Shannon Fischer-Kendro and Nick Dante Dilliot joined me in spending the morning with our class inspiration discussing our current work on invasive species and upcoming R & S projects. Jane also shared her upcoming book, news from Gombe, her program Takare, and some stories of recent animal observations. It was great to see her in such fine form. Not sure how anyone could keep up such energy with such a pace moving around the globe raising awareness on critical wildlife and humanitarian issues, raising money for JGI, and raising everyone’s optimism. All of this in the face of such widespread environmental devastation and rampant conflict across our planet. Never give up hope. 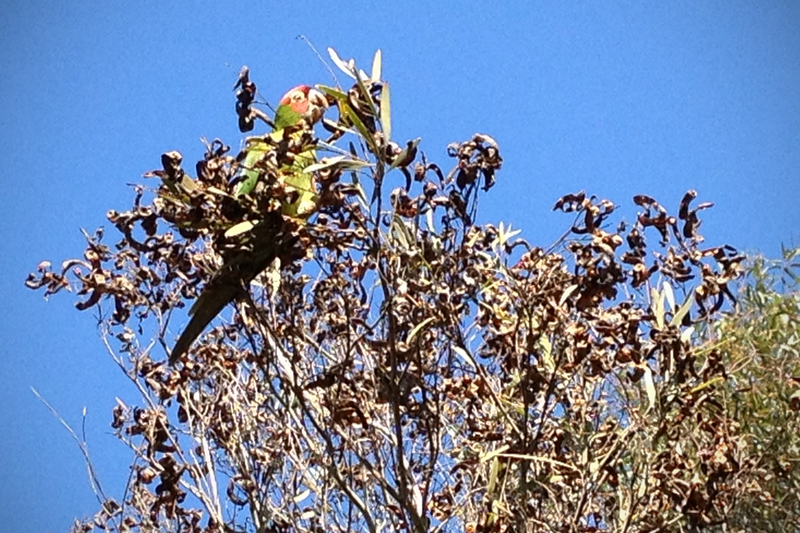 The Red-crowned Parrots (Amazona viridigenalis) of Pt. Loma were recently caught on film in Cleator Park (near Nimitz and West Pt. Loma Bvld.) feeding on some Acacia trees (Acacia cyclops). Our class is currently working on methods to survey their population in San Diego. The bird is of great interest because they are thriving in San Diego, but endangered in their tropical homeland of Mexico (Tamaulipas, Nuevo Leon, and Veracruz). 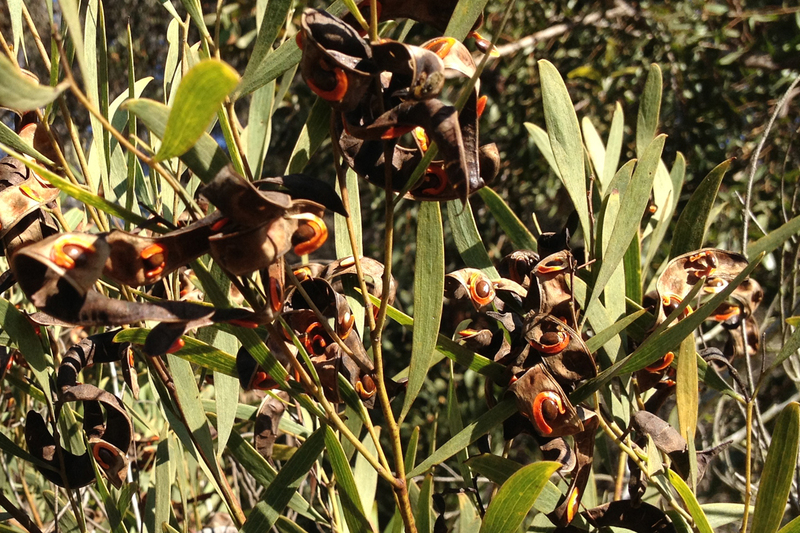 The birds observed (above) were feeding on trees in the Park appeared to all be getting seeds of an acacia (below) growing on the banks along the eastern slope. Way to go 2012 HTH Science Fair Team! Congratulations to our 2012 High Tech High Science Fair Team. Each will be presenting their research March 20 at the GSDSEF. John Horn was a science fair award winner, lead contributor and GIS master for the book Perspectives of San Diego Bay: A Field Guide. He has just finished his masters at Stanford University. 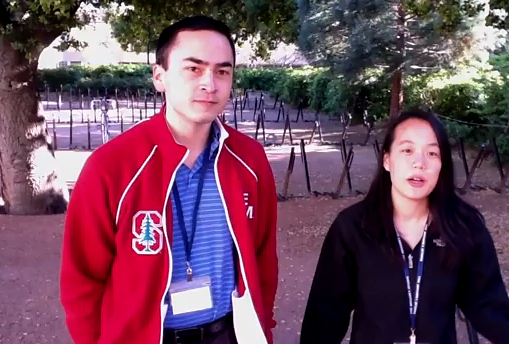 Above, he is pictured in Google’s Entrepreure competion at Stanford. Soon, John will be on the path to UC Irvine in Earth System Science for his Ph.D. He will be studying the effects of climate change on water resources.